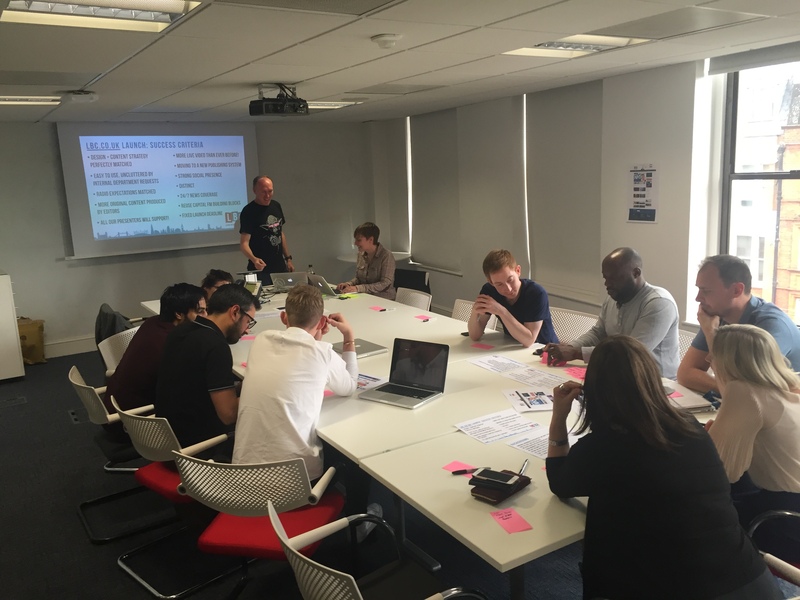 I’m a big fan of Gamestorming – creating really fun interactive sessions motivate participants to focus on a project objective. 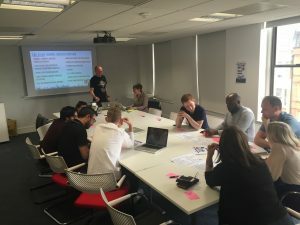 Using the element of play can be really useful in these instances, as so many of our meetings are dominated by distraction with people answering email on their devices and disengaged. Introducing novel exercises can really counter the monotony of established office routines. 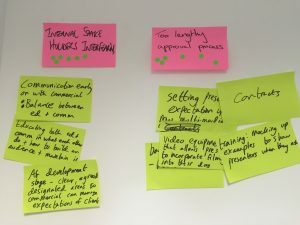 The exercise I selected from the Gamestorming book was the Pre Mortem – essentially focusing the group on what could go wrong with a project. 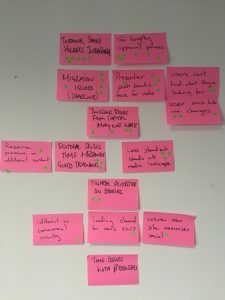 Asking a group to spend time actively ripping apart a proposed vision or product is actually really fun, and something people aren’t usually asked to do. 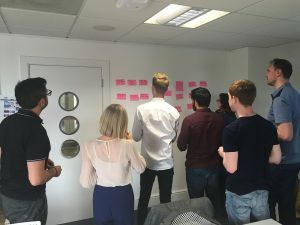 With so many meetings booked in our calendars, many of which overrun or haven’t an established agenda or goal, it’s easy to take the simpliest path – attend, keep participation to a minimum, and then head to the next meeting. 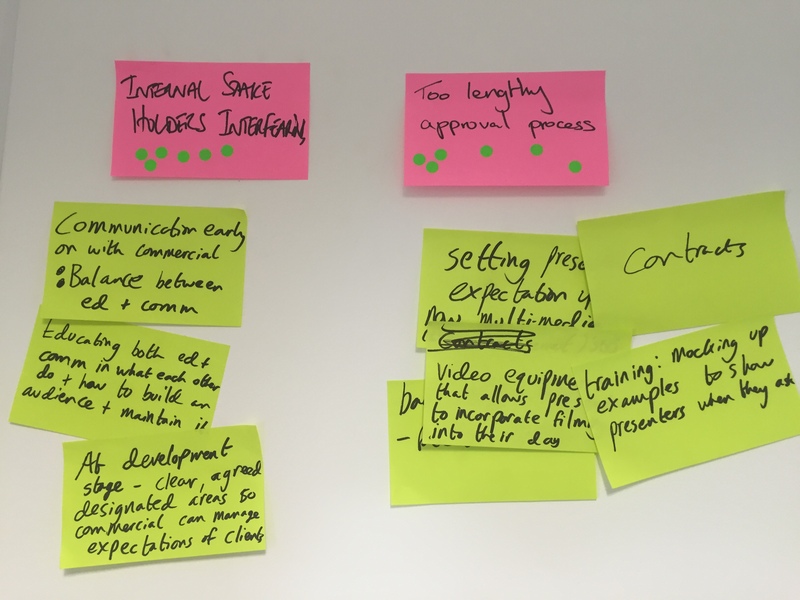 With a bit of forward planning, and maybe testing on a few willing participants in advance, it’s possible to create a really constructive session that really bonds the team and helps them see the project (with its many challenges and solutions) in a new light. 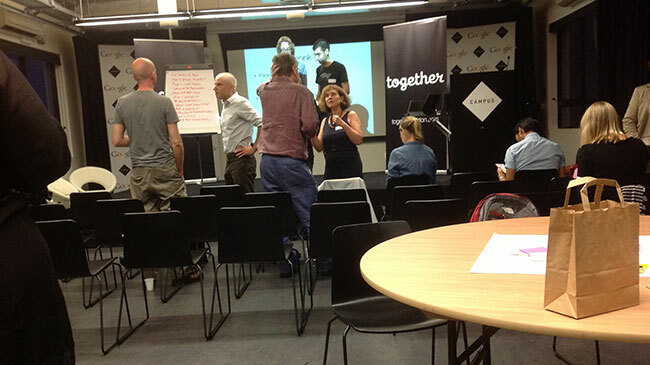 Last night I attended another London Content Strategy meetup session hosted by Jonathan Kahn and Richard Ingram at Google Campus. 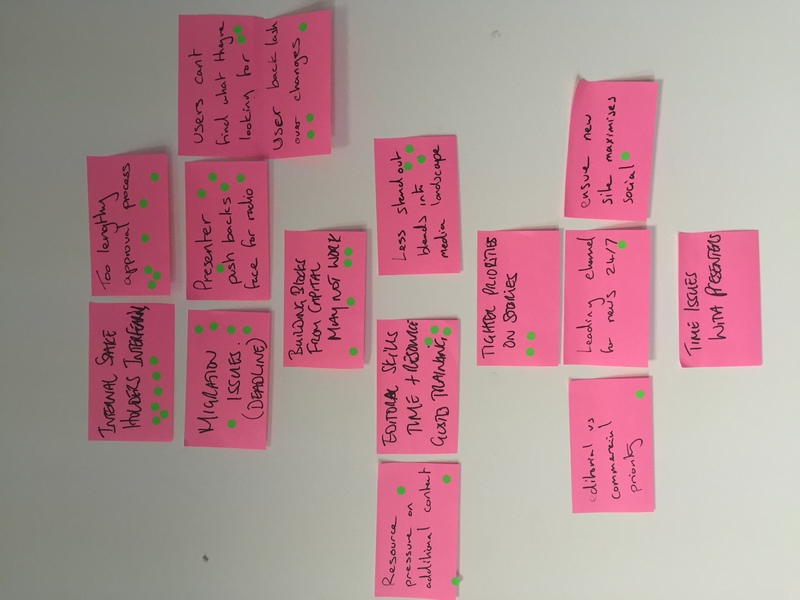 The session kicked off with an excellent presentation from freelance agile and Lean user experience architect Sophie Freiermuth (aka @wickedgeekie) and was followed by a series of Gamestorming exercises to address key issues faced by the group when it came to deploying agile at work.